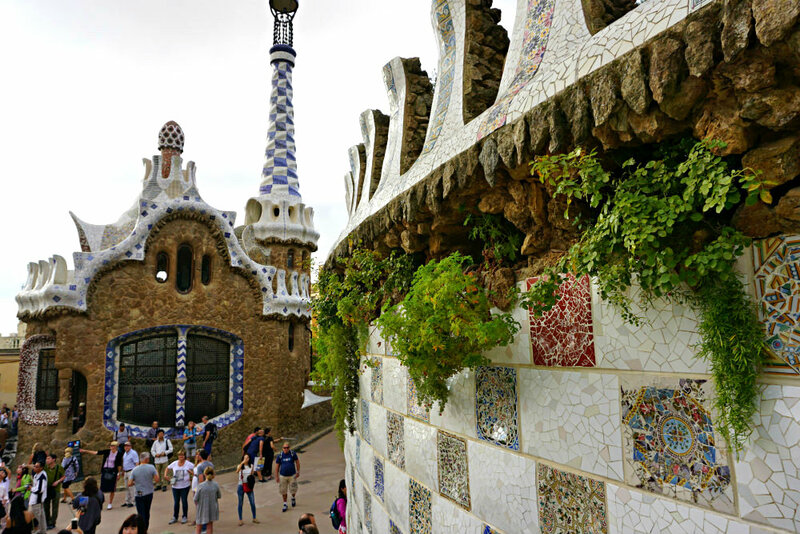 A city-break in Barcelona is enough for a few inspiring visits in different quarters of the city. 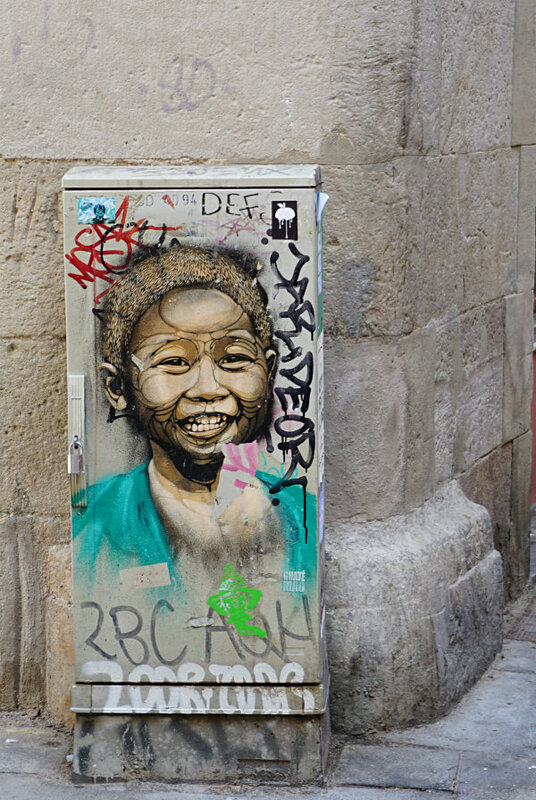 Nowadays you can sense the artsy style in many corners, on buildings architecture, public sculptures or on the streets walls. 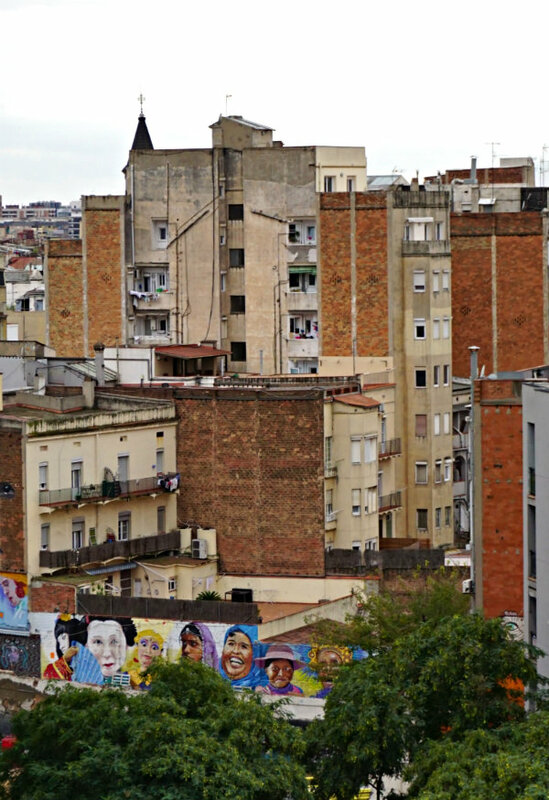 Designers and local artists’ studios spread throughout the city and some street artists constantly mark their distinctive style on the walls. 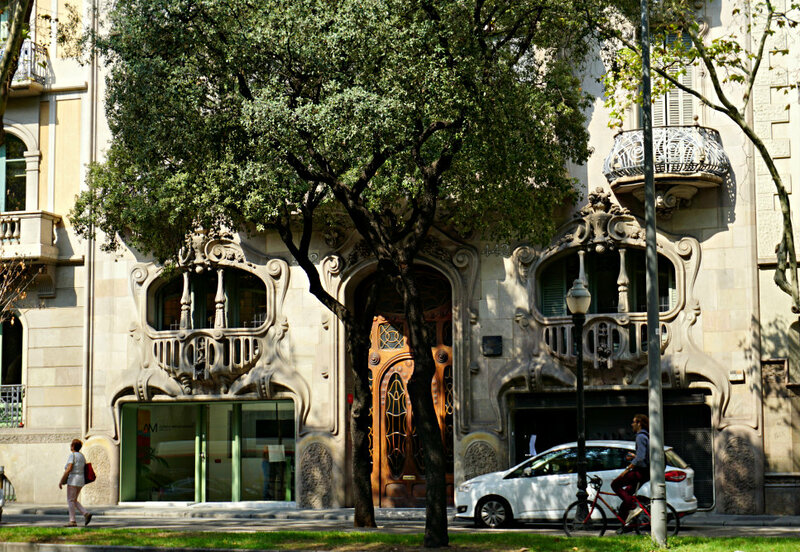 In L’eixample district you’ll find many modernist buildings and you can even follow ”routa de modernisme” sign. 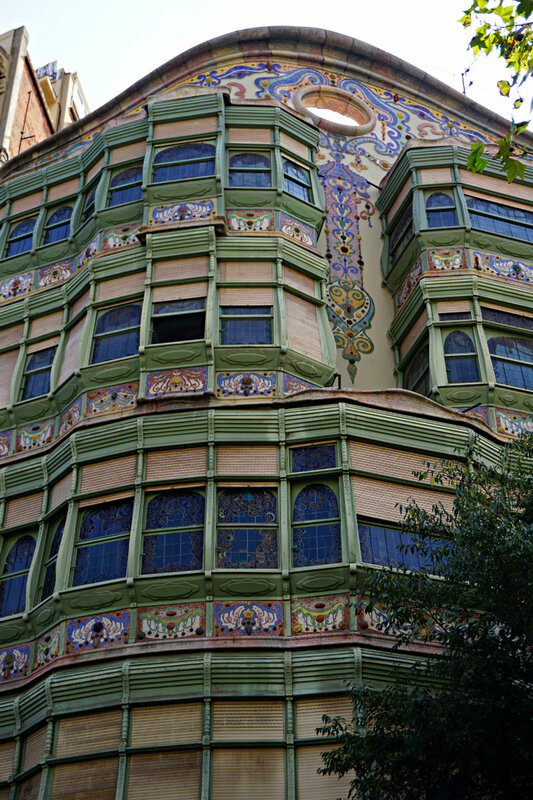 Check the colored mosaic and tiles, a clear Moorish influence, natural shapes as branches and bones, and fancy column shapes. Add a mix of stone, iron, stained glass and ceramics. After all, this is what I call modernism. 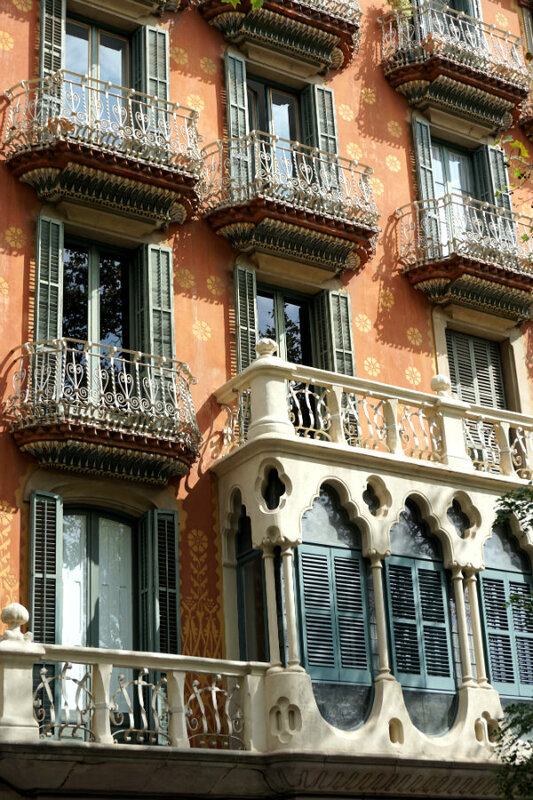 Barcelona’s distinctive architecture style, Modernisme is a Catalan modernism style usually explained as Catalan art nouveau. I am not going to lecture here, but 9! 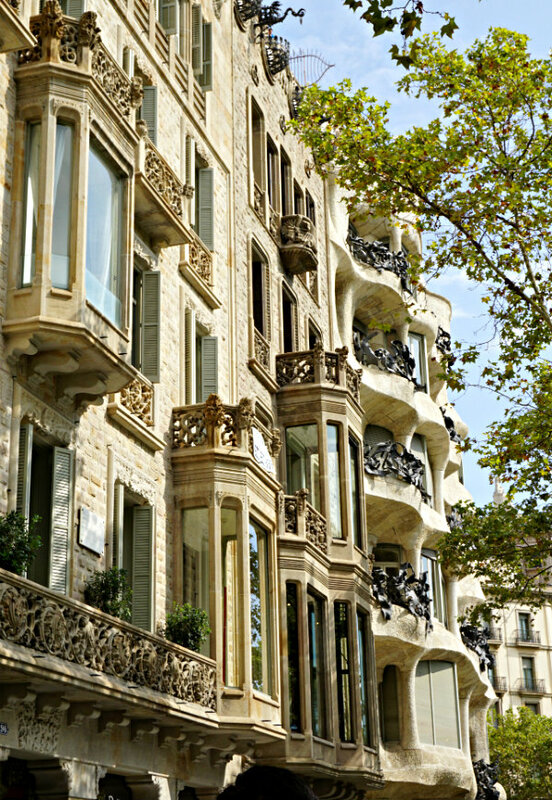 buildings in Barcelona are part of Unesco World Heritage Sites. 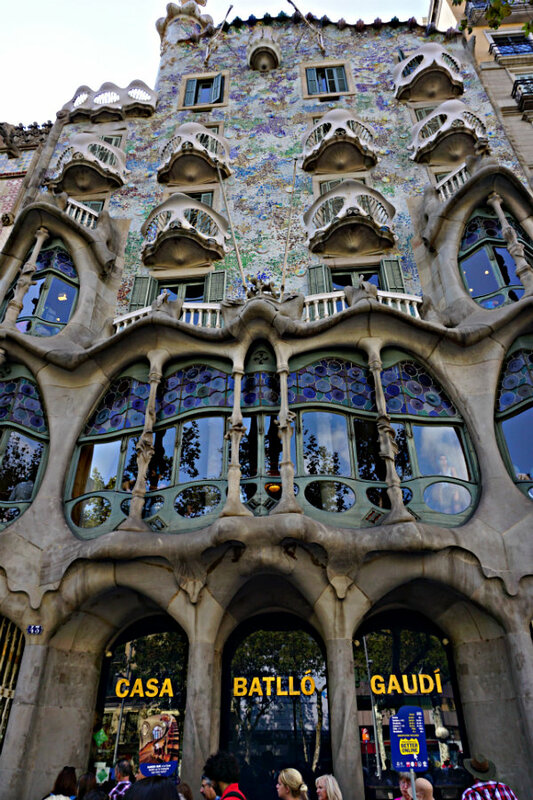 Take a day or at least half a day to enjoy Gaudi’s masterpieces. 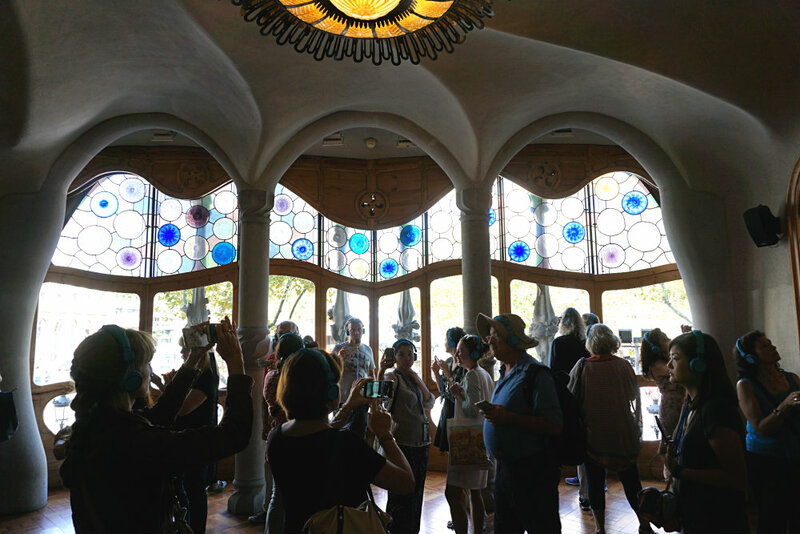 His signature is in many places around the city, from Parc Guell, Casa Batllo, La Pedrera to his most beloved Sagrada Familia or Palau Guell. 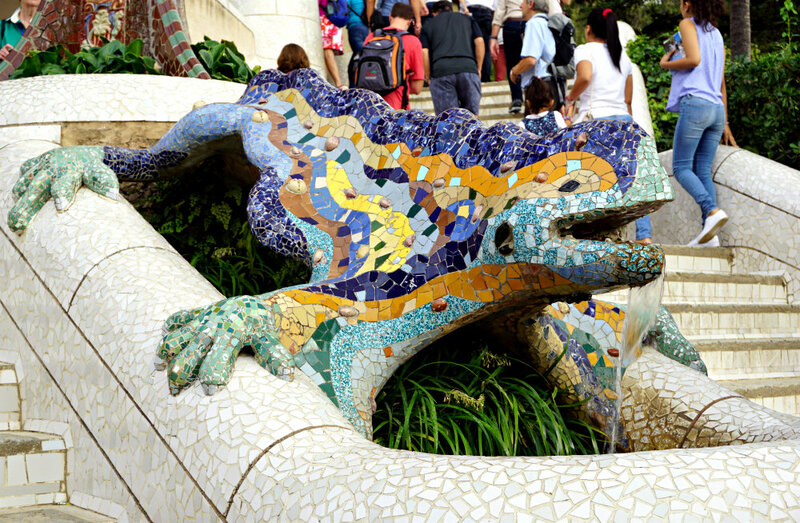 The house where he lived 20 years is located in Parc Guell and is also worth visiting. Save some money if you want to dive into his imaginative world. 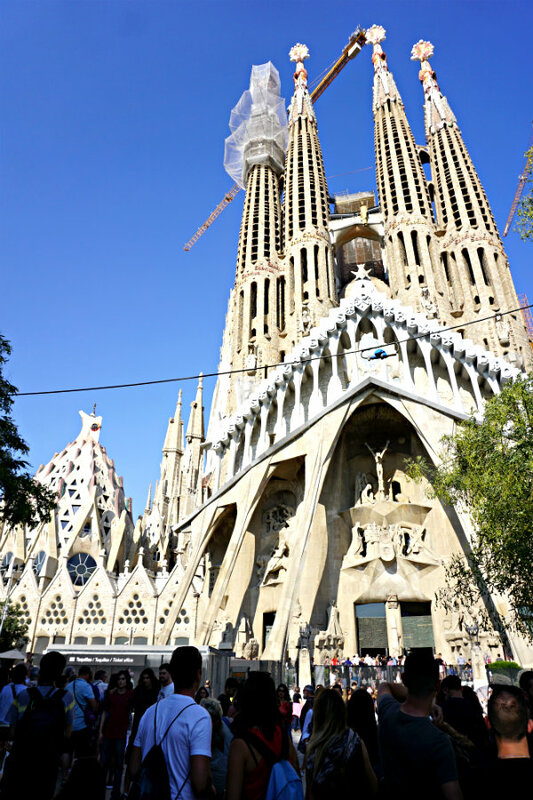 Namely, the entrance fees to Sagrada Familia and the houses designed by him range from 15 EUR to 23 EUR and require online booking. But you will not regret one penny. 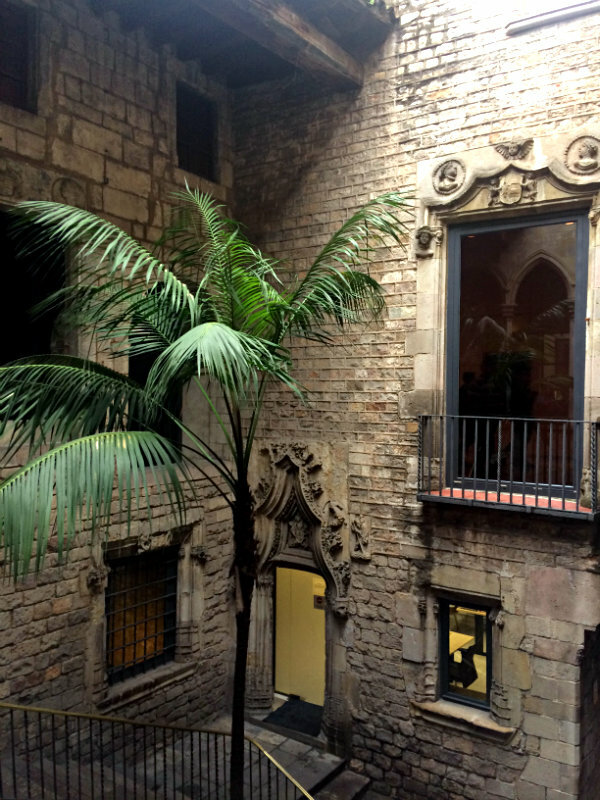 Other beauties are Hospital de Sant Pau and Palau de la Música Catalana, close to the Gothic quarter. 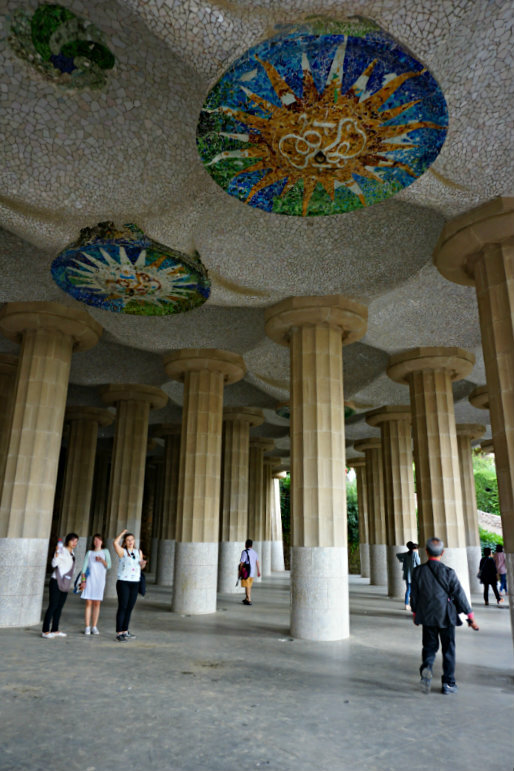 I loved Barcelona even before going there, but Juan Miro Foundation and Montjuic area have a special place in my heart. I’m bias, for sure, but do you imagine a full mansion with surrealism paintings, beautifully colored lines and shapes, on a hill? 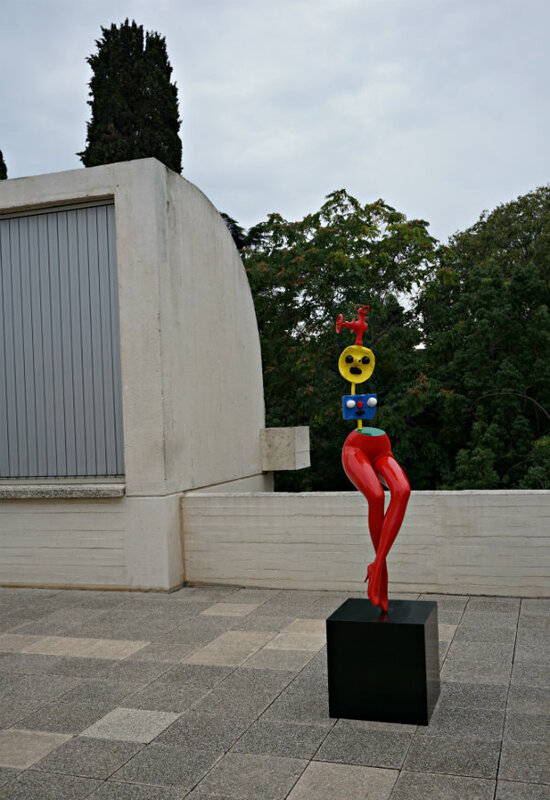 In addition, a large sculpture of Miro is in a park close to Plaça d’Espanya: Woman and Bird. 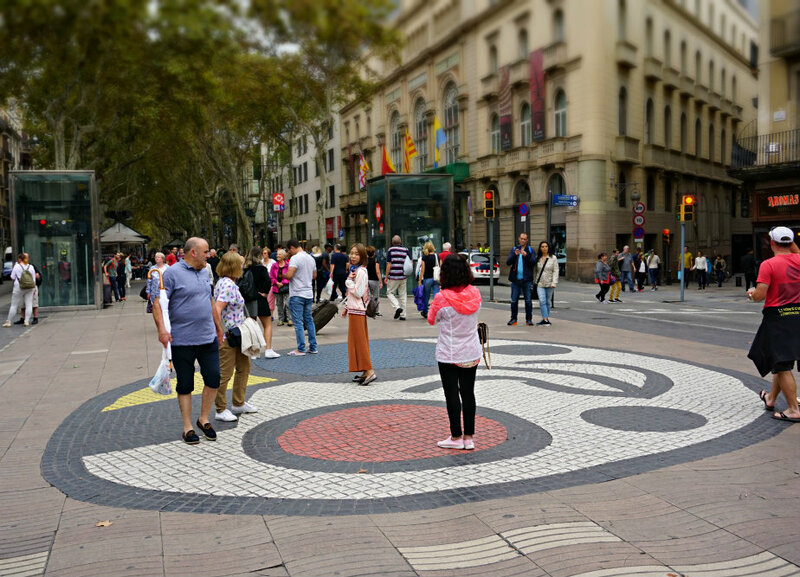 The artist has left marks in the city and it’s highly possible you’ll walk on his colored mosaic circle of the pavement in La Rambla, close to the Mercat de la Boqueria. 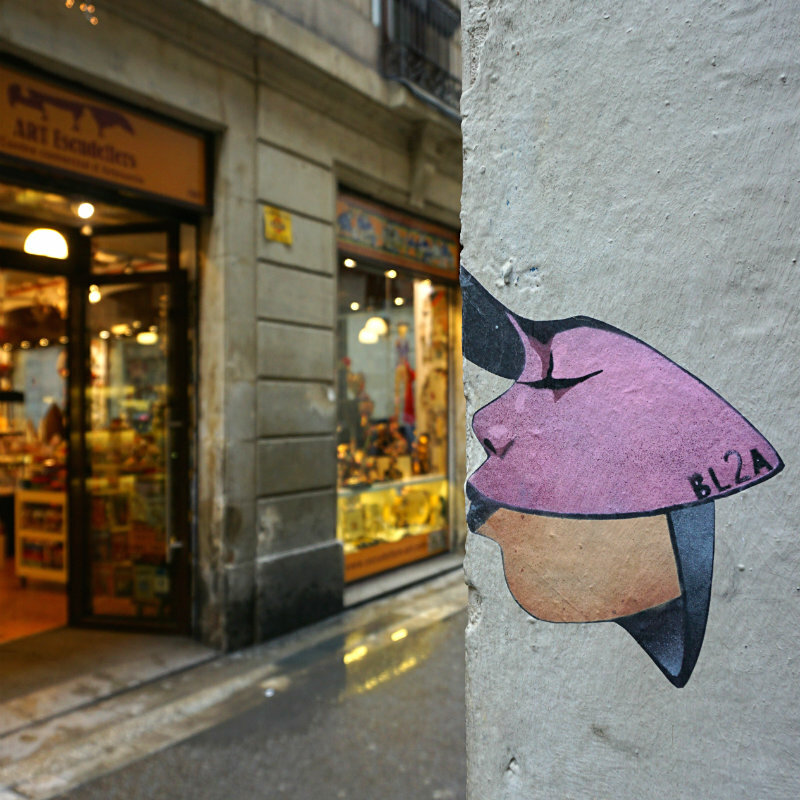 To move on, Picasso is another acclaimed modern artist in Barcelona. 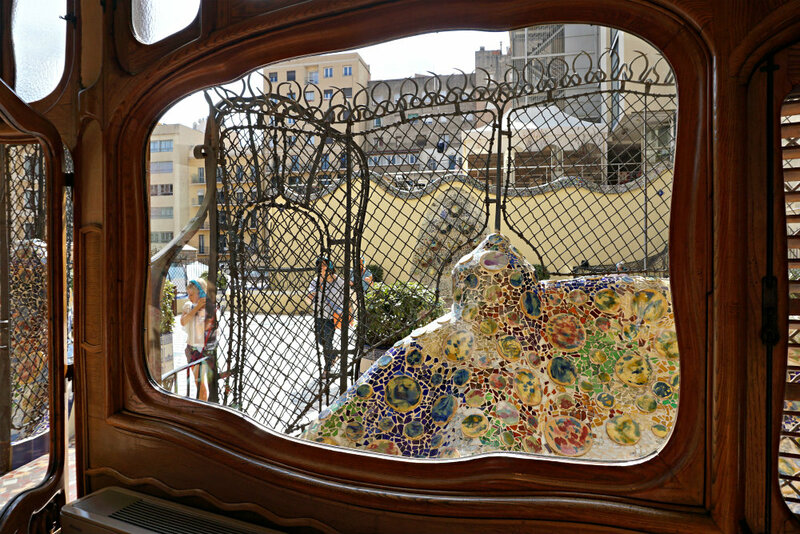 The museum is in the Gothic quarter and emphasis his evolution toward a cubist, his blue period, reinterpreted Las Meninas painting and a collection of ceramics. First Sunday of the month is free to access, but book online before! 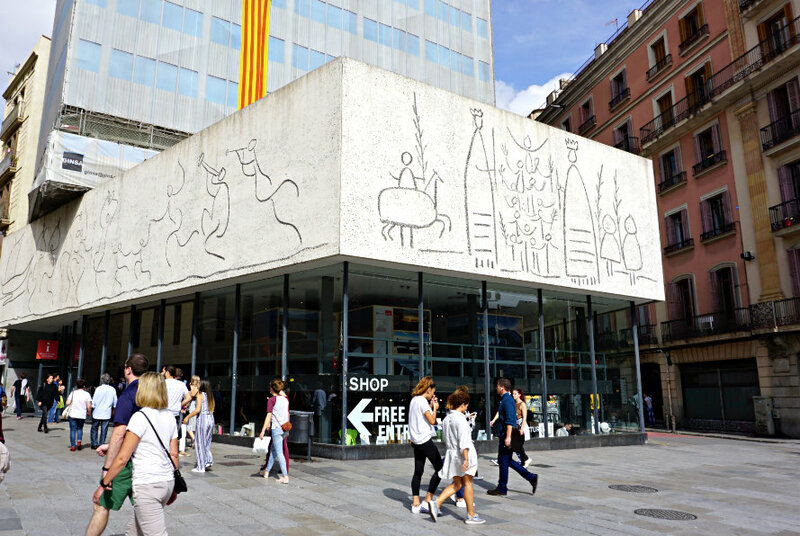 Otherwise, you can admire his work in the street on the upper part of the building called Collegi Arquitectes, in the square of Le Catedral. These drawings represent Mediterranean Festivals. 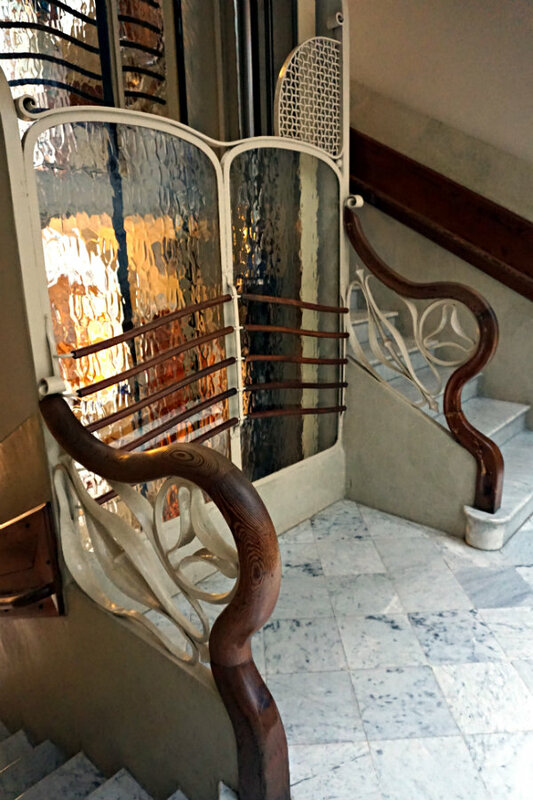 Dali should be also mentioned here, the works of this Catalan surrealist reside in Barcelona, but Teatre – Museu Dali is in his hometown, Figueres, an hour away from the city. 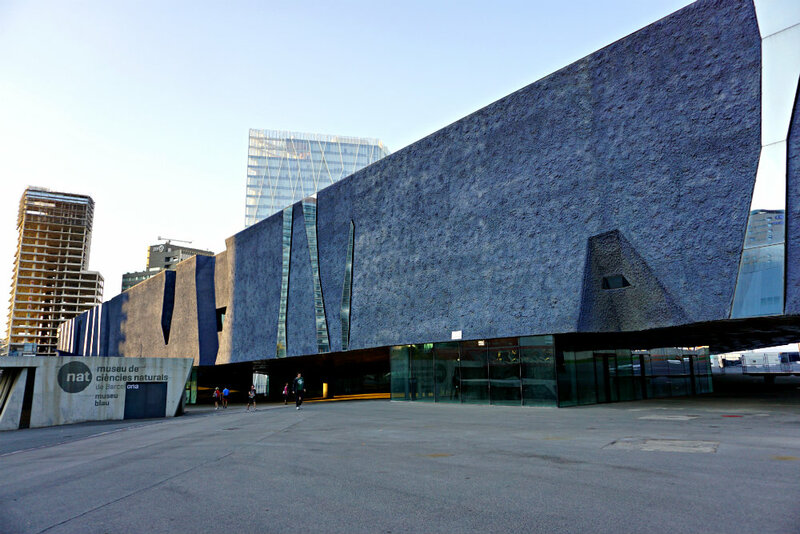 Initially, a textile factory, now an art gallery sponsored by La Caixa Bank, the building itself is a modern piece of architecture. With this in mind, good temporary exhibits are hosted here and the entrance fee is only 4 EUR. 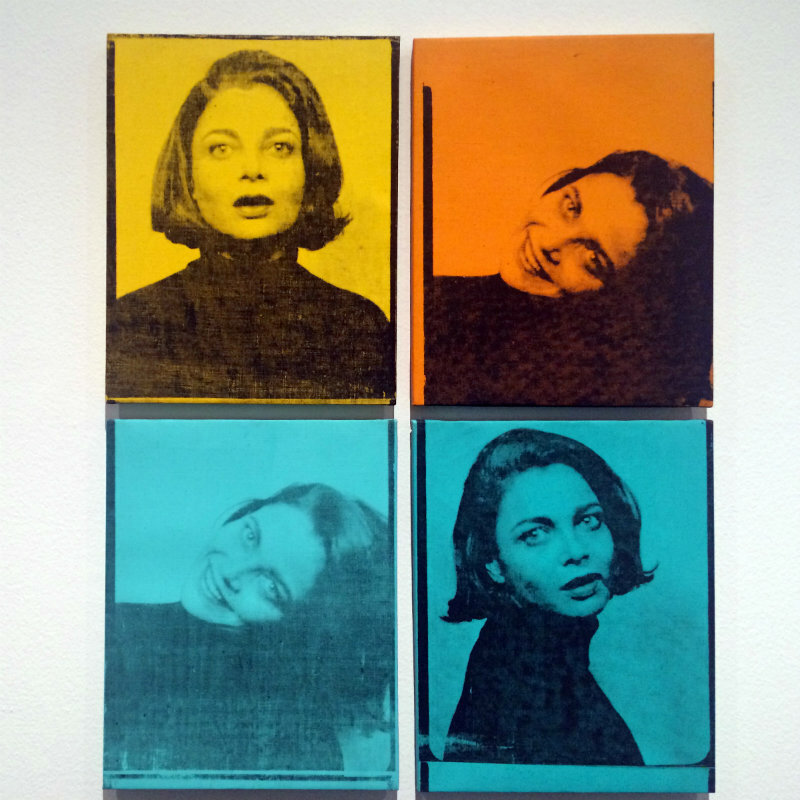 I was lucky enough to enter to Warhol. Mechanical Art, about the pop artists that worked with advertising materials and American stars. 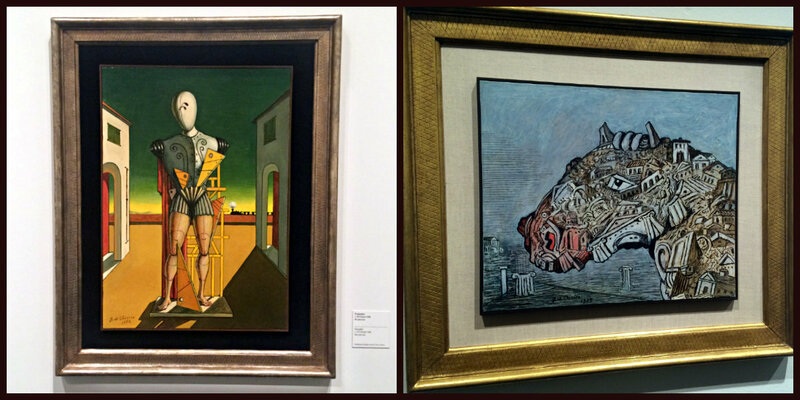 In addition, I attended a quite different exhibit: The world of Giorgio de Chirico. Dream or reality. Briefly, Chirico’s paintings are complex, he is all about strict lines and an architectural perspective. 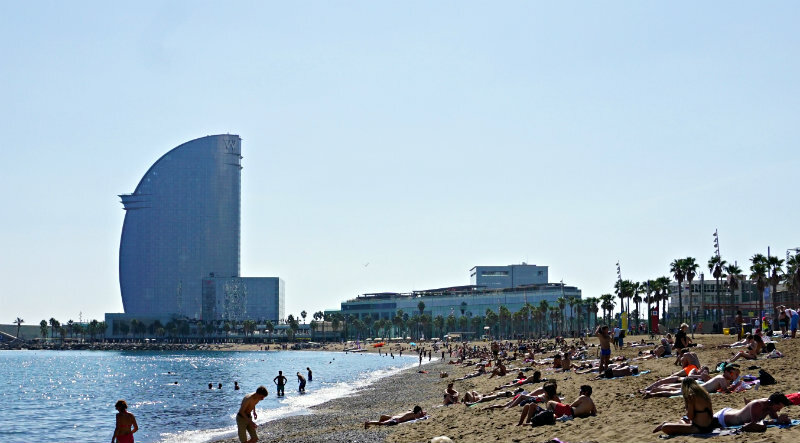 You are in Barcelona, so let’s be honest, you’ll want to go to the beach at least if you travel between May and October. 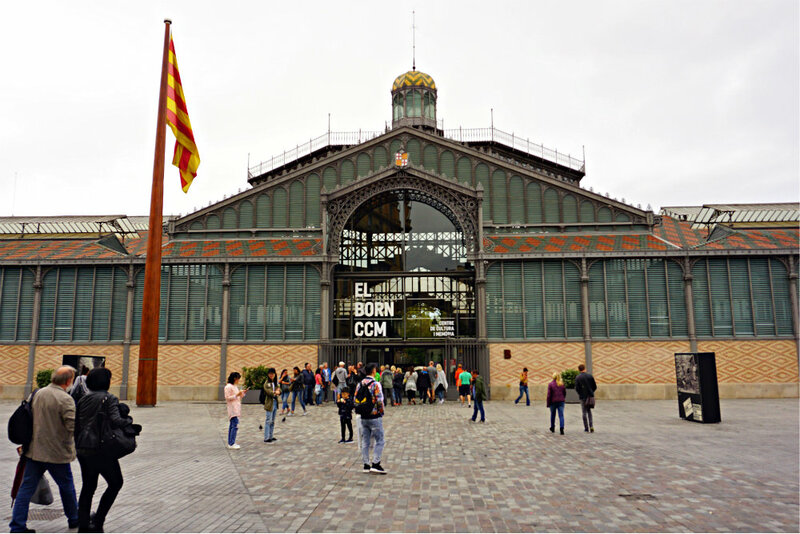 From Port Vell, there are only a few minutes to Barceloneta beach and there’s more to explore if you go north toward Parc del Forum. As a matter of fact, that’s more than a 5 km walk and further away than the Olimpic port, you’ll encounter joggers, rollers, skate parks, quiet beaches. 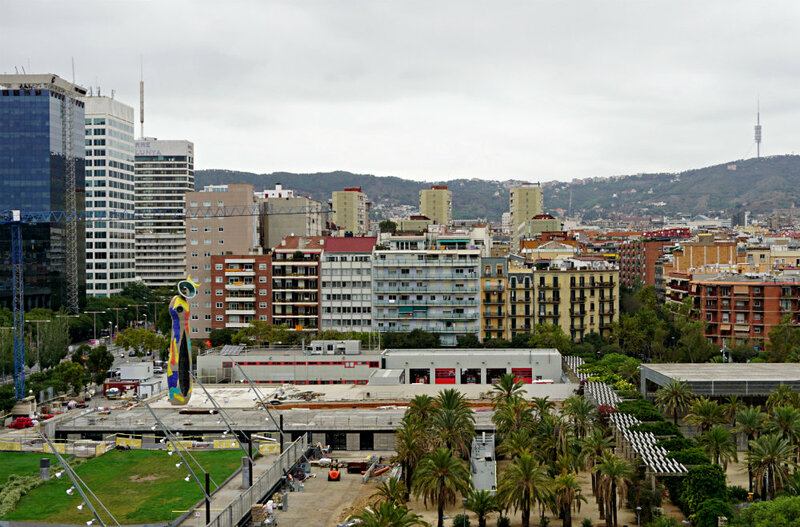 One of the tallest buildings in Barcelona, W Hotel, a modern building with a sail shape is close to Barceloneta beach. Homage to the Swimmers, Homage to Barceloneta, Peix, the gold fish designed by Frank Gehry lie along the seafront. Once you reach Parc del Forum you have a new, contemporary square, with high buildings, a space for conventions and events and a beautiful blue façade building for the Natural History Museum. Hot air balloon façade close to Sant Antoni Market. 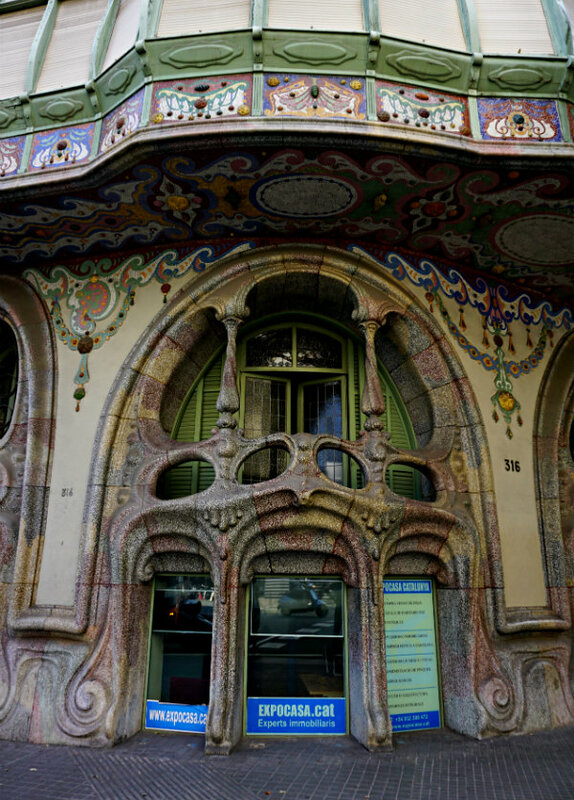 This is actually the oldest building in the Eixample district and it’s called la Carboneria. 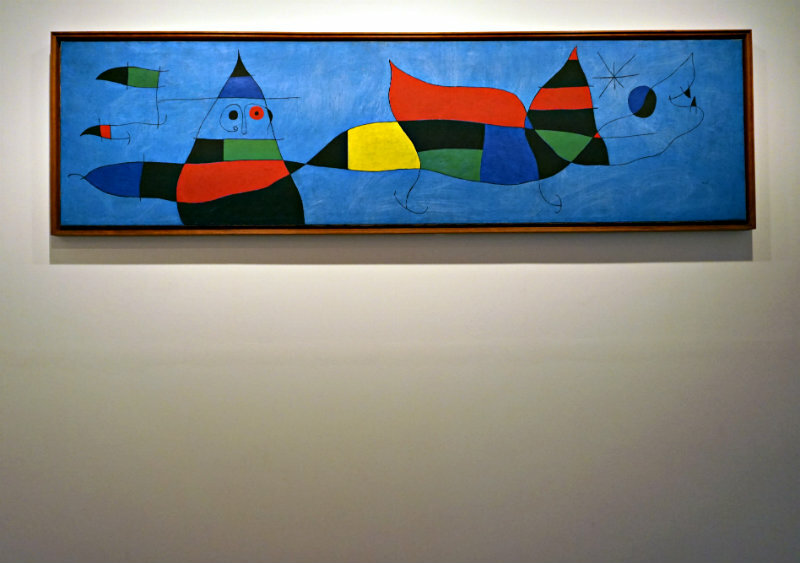 Tribute to Juan Miro, a huge mural in Miro’s style, designed by SIXE. 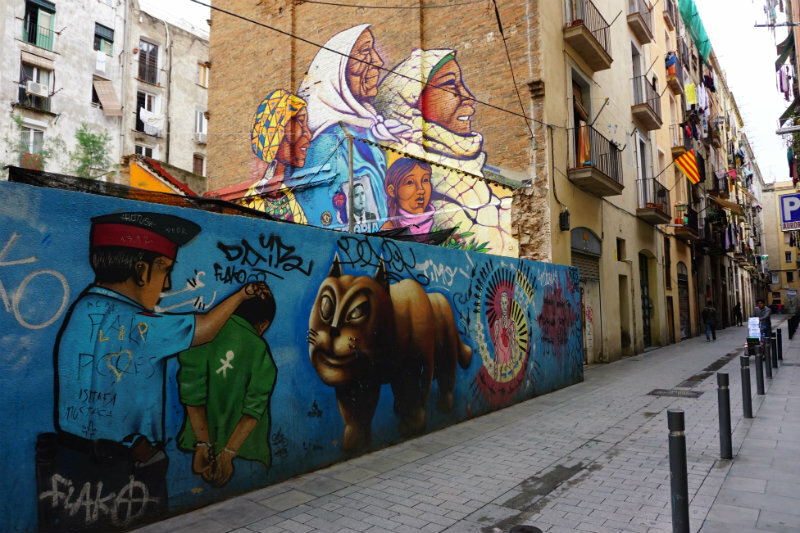 North-west of parc Guell is an alley with graffiti walls. 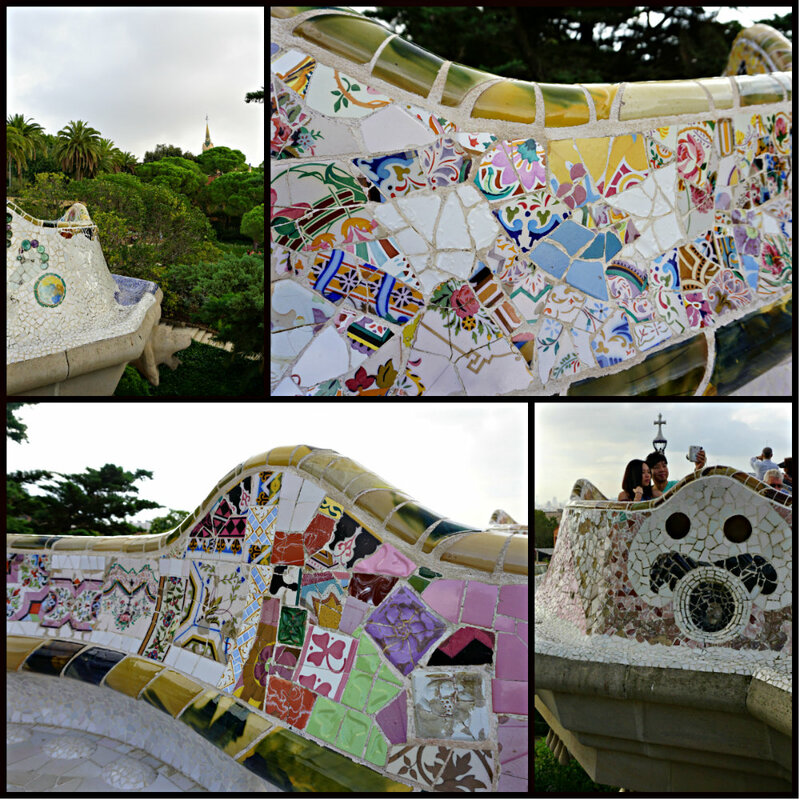 If you visit Parc Guell, reach the top for the view and for this alley. Typography on cans is a style you’ll see almost on every quarter. Chef Love is using mainly Catalan or Spanish words, and his messages are rather positive. You can check Me_Lata on instagram. 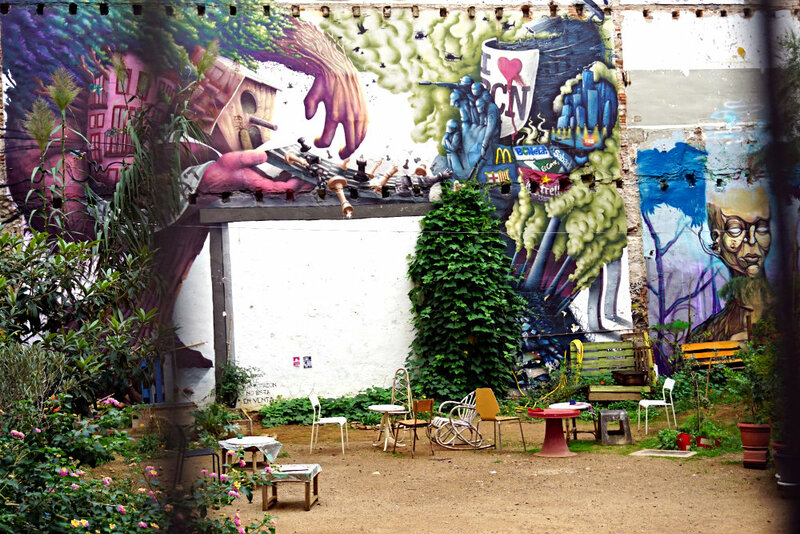 Agora Juan Andres Benitez, 2 min away from Rambla del Raval, is an open space for social debates and a small cooperative. Grafitti works that surround this area are representative of this story: Juan Andres Benitez, a gay businessman died beaten by the police officers. 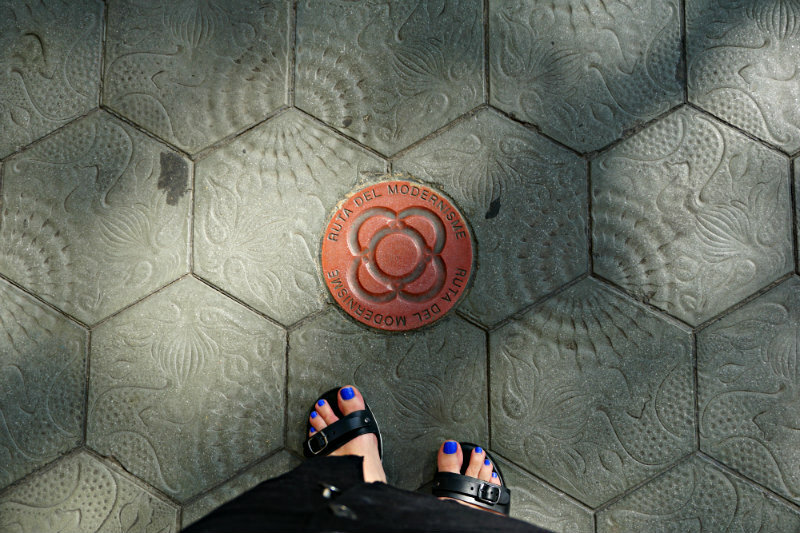 I started this post thinking about modernists and street art, but I cannot finish without mentioning the gothic footprint. 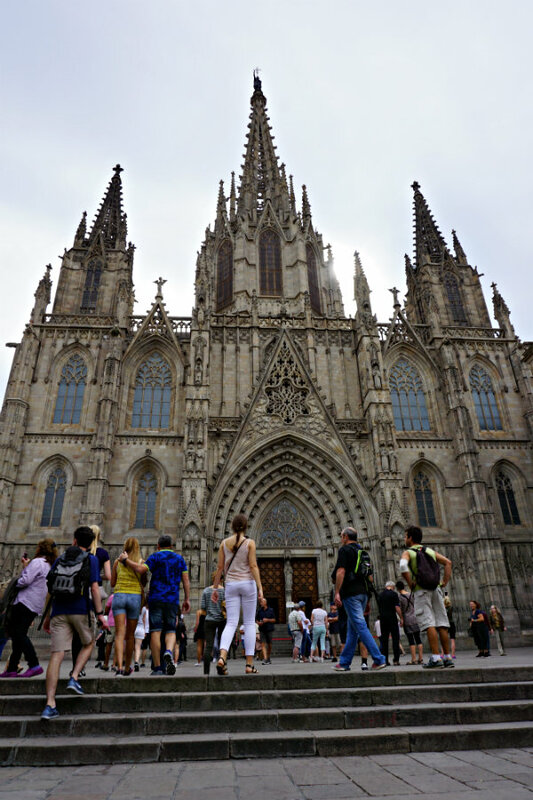 In essence, the other great landmarks of Barcelona are Gothic. 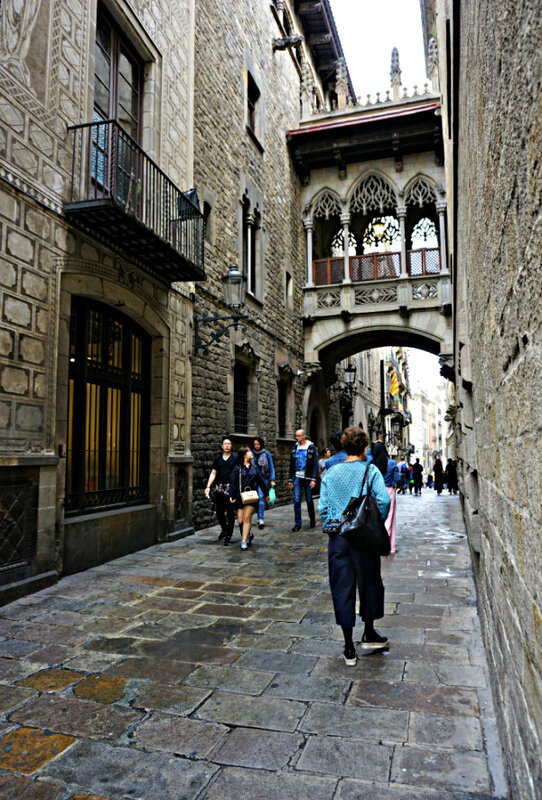 Despite the hordes of tourists, the medieval streets unfold historic buildings in Barri Gothic and La Ribera. 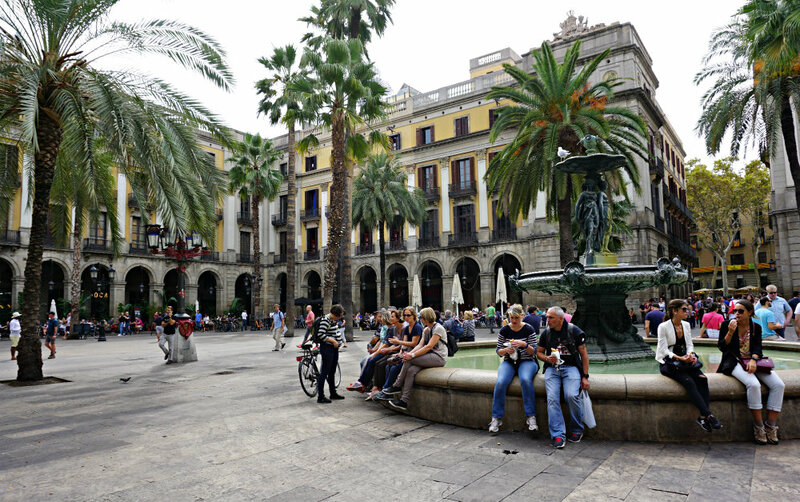 At least, check La Catedral (The Cathedral), Museu D’Historia (History Museum), Plaça Reial (Royal Square). 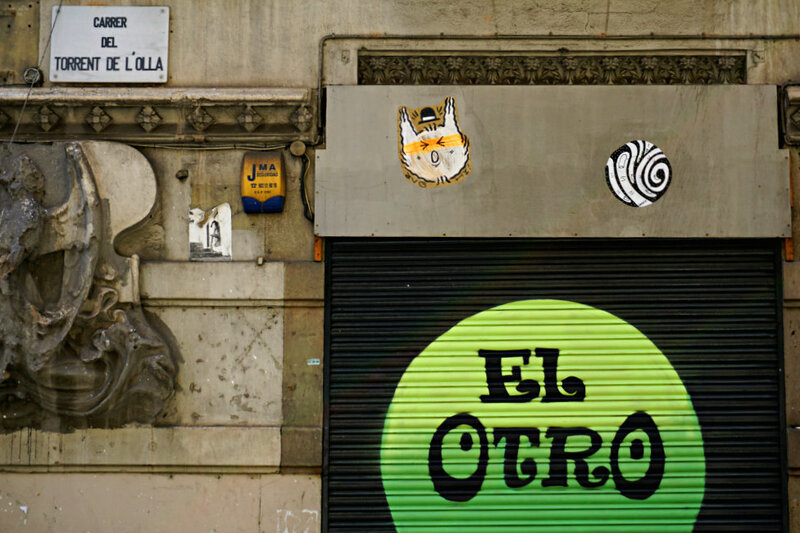 El Born area is small, nice and surrounded by small art shops. 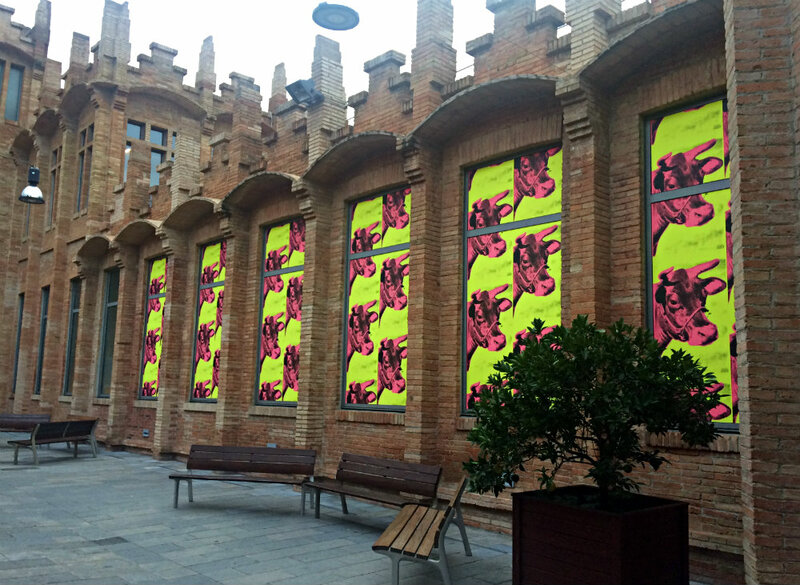 On one side you have El Born CCM, a cultural space in a restored former market with excavated city ruins. It’s free to visit and it hosts a worth-to-check exhibit with ceramics. 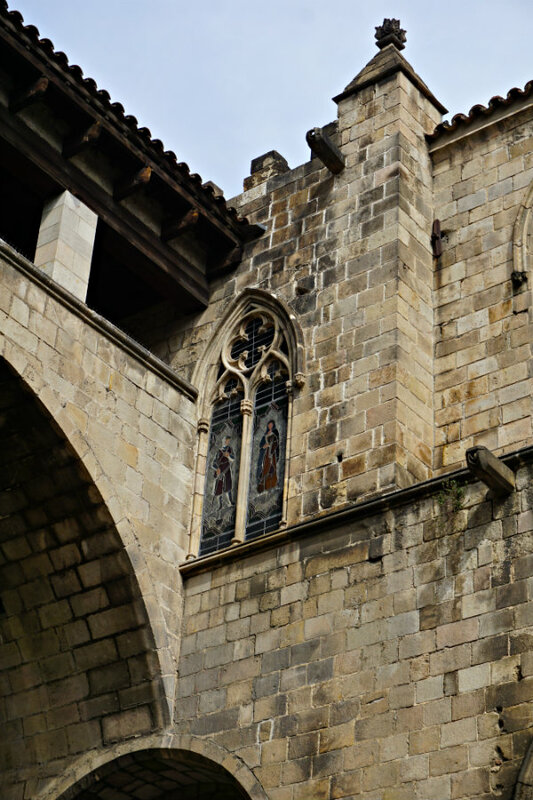 Then you can take a stroll on the Passeig del Born, the little boulevard, and end with Basilica Santa Maria del Mar. MNAC, Museu Nacional D’art de Catalunya. The building, National Palace, is huge and you should check it at least on the outside. 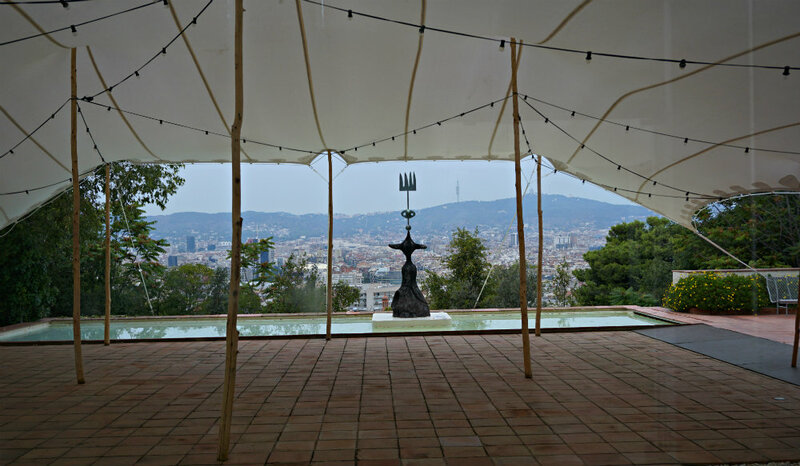 It’s standing proudly on the hills of Montjuic and seems a Roman basilica, with a large dome. 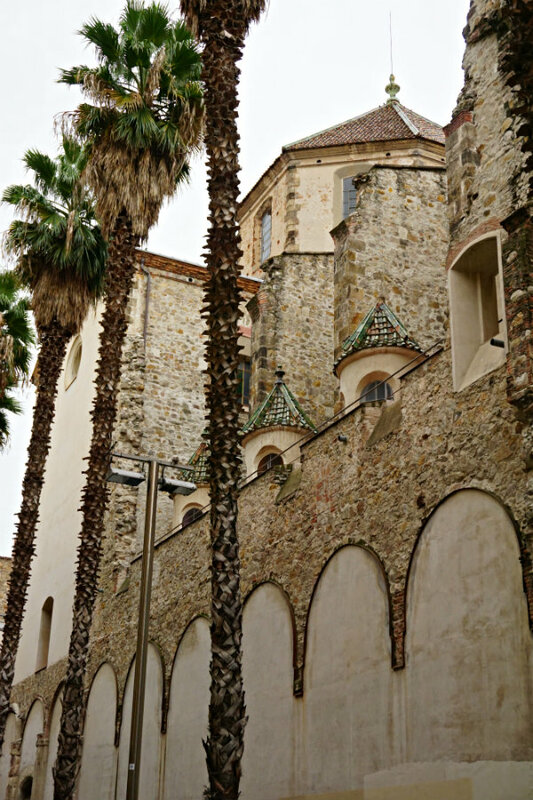 Poble Espanyol. 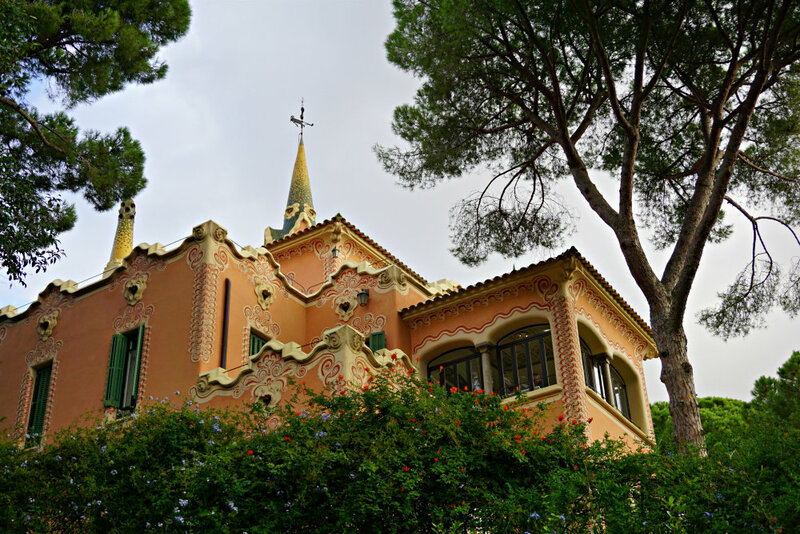 A village replica with all Spanish architectural home styles, close to Montjuïc Fountains and National Museum of Catalan Art.